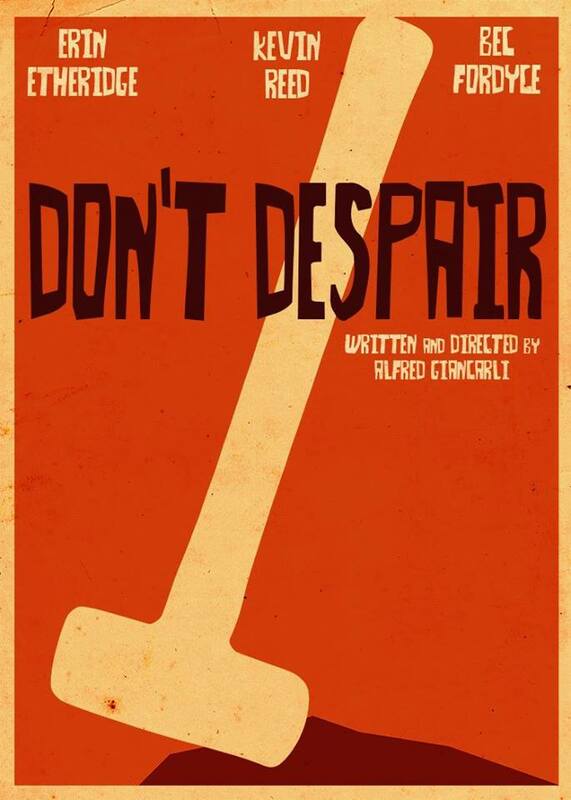 Firstly, I just want to say thank you to Writer and Director Alfred Giancarli, for allowing me access to an online screener of his 16 minute, Horror/Thriller short called “Don’t Despair”. 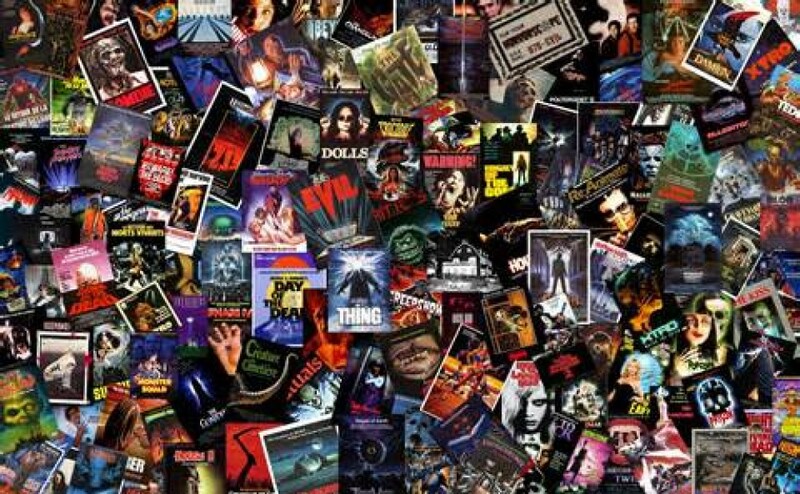 The film centers on people with an addiction to collections. William and Rachel (played by Kevin Reed and Erin Etheridge), have been conversing through an online forum for collectors. They decide to meet each other for the first time and swap items for their particular collections, which in this case involves memorabilia and trophys of a serial killer. Things take a turn for the worse, when Rachel invites William back to her house to see her latest addition. The film also stars Bec Fordyce. It’s a cool, old school style poster that reminds me of 2013’s “Big Bad Wolves”. The retro poster always stands out, and it’s a great way to get people interested in the film. Don’t Despair has an interesting concept, in the sense that most of us can relate to a collection of some sort. We all have something we collect or are passionate about it, just so happens that William and Rachel are obsessed with something a little more peculiar than most. Rachel’s cold exterior and child like excitement when it comes to trading items with William is downright creepy. The fixation on having the one of a kind items and everything in mint condition, reminded me of a brilliant indie film called “The Man Who Collected Food” (well worth checking out). The audio is nice and clear and most of the framing and camera work quite intimate, which works for the underlining fanatical theme. There wasn’t a lot of music, but I did enjoy the creepy little three note theme in the beginning. There’s a lot of dialogue in a short space of time and it’s really well written. It’s delivered almost like a theater production. In fact I thought Alfred was indirectly nodding to Shakespeare by calling the lead character William (or am I reaching haha). The acting was solid and the delivery a touch melodramatic, but in a good way. That’s what made me feel like it could have worked well as a small play. 16 minutes isn’t much time to pick something apart or look for issues, but I nearly always find something to pick on (haha). Other than the inconsistencies in relation to going in and out of focus during the handheld shots outside Rachel’s house, the technical aspects were all fine. I found shots of the street, and the town with which the film opens to be unnecessary. The establishing shots should have been cut. If for no other reason than it clearly foreshadows the ending, and consequently doesn’t have the same impact when that final revelation surfaces. Personally, I would have come down over the top of the restaurant or bar (whatever it was), through the roof and down to eye level as the camera holds on these two characters sitting in a booth (but hey that’s just me haha). Don’t Despair is a well made, dark and psychological fueled short film from a first time Director. Most of the attention to detail in the technical aspects is evident from word go, and the performances are solid, taking into account the cast are mostly newcomers. There’s only one or two nit picky things that could have probably been edited or altered, but nothing to dampen the overall enjoyment of this one. Quick shout out to my fellow Aussie Bec Fordyce, love her effects work, and her performance here. Wishing her all the best for future projects, and Thanks again to Alfred and Co!